Cassini, orbiting Saturn for nearly 13 years, has revolutionized our knowledge of the Saturn system and informed us of new places to search for habitable environments. Cassini will send back its final bits of unique data on September 15th, 2017, as it plunges into Saturn’s atmosphere, vaporizing and satisfying planetary protection requirements. 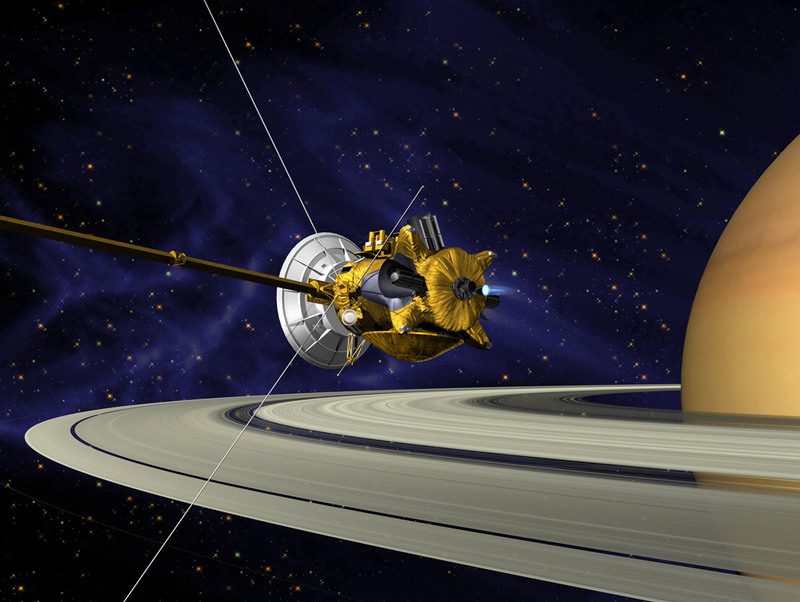 Before that time, Cassini will continue its legacy of exploration and discovery in 2017 and return unique science data provided by 22 orbits, taking the spacecraft into unexplored regions near Saturn and its rings. These close orbits provide the highest resolution observations of both the rings and Saturn, and direct in-situ sampling of the ring particle composition, plasma, Saturn’s exosphere and the innermost radiation belts. Saturn’s gravitational field will be measured to unprecedented accuracy, providing information on the interior structure of the planet, winds in the outer layers of Saturn’s atmosphere, and the mass distribution in the rings. The magnetic field will be probed to give insight into the nature of the magnetic dynamo and inform on why the magnetic field exhibits little, if any, axial tilt. In the final orbits, the ion and neutral mass spectrometer will sniff the exosphere and upper atmosphere for molecules that escape the atmosphere itself and water-based molecules originating from the rings. This presentation will also highlight recent results from the Ring Grazing orbits, where spacecraft skirted the F ring 20 times. Dr. Scott G. Edgington is a Planetary Scientist at the Jet Propulsion Laboratory whose research specialties are giant planet photochemistry and atmospheric structure, radiative transport in atmosphere and ring systems, and spectroscopy. 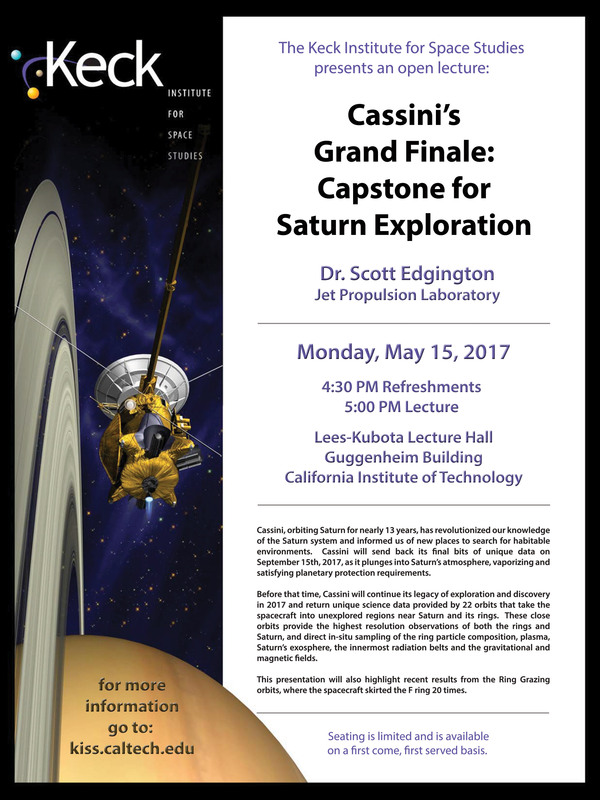 He is Cassini’s Deputy Project Scientist and Investigation Scientist for Cassini’s Composite Infrared Mapping Spectrometer. He has most recently been selected as the Investigation Scientist for the Europa Ultraviolet Spectrograph on the Europa Clipper Mission.